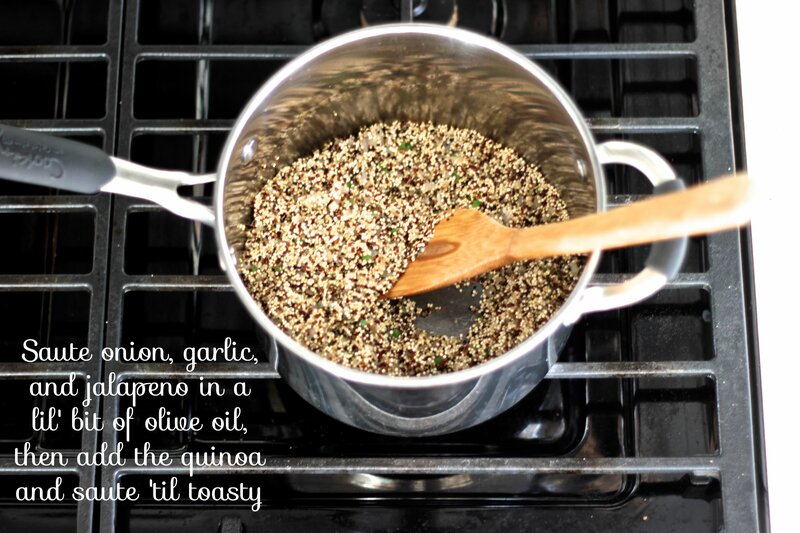 I don’t know about you, but the first few times I cooked quinoa, it tasted like tree bark. And not even that yummy, healthy tree bark that they make teas out of to soothe the spirit or improve 17 bodily functions. Nope. Despite all the rinsing and toasting and whatever-ing beforehand, it tasted like I just walked up to a rough and shaggy tree out in the middle of the woods and bit a huge chunk out of it. And then threw it on my dinner plate. A few years ago a friend brought us quinoa tacos for dinner and her quinoa was amazing–it tasted like fresh tomatoey, limey, tortilla-y goodness. I asked her what her secret was and she said she just cooked it with salsa. What?? Are you telling me the secret to cooking quinoa is with flavorful, non-barky items, instead of just the package-recommended water?? My personal preference has become cooking with red or rainbow quinoa, as they seem to have a more nutty (not bark-like) flavor. And let me tell you I am always up for a good taco. I’ve heard the end of the world is coming up on the 28th, so if this is one of my last meals, I’m definitely going out with a taco or two under my belt! 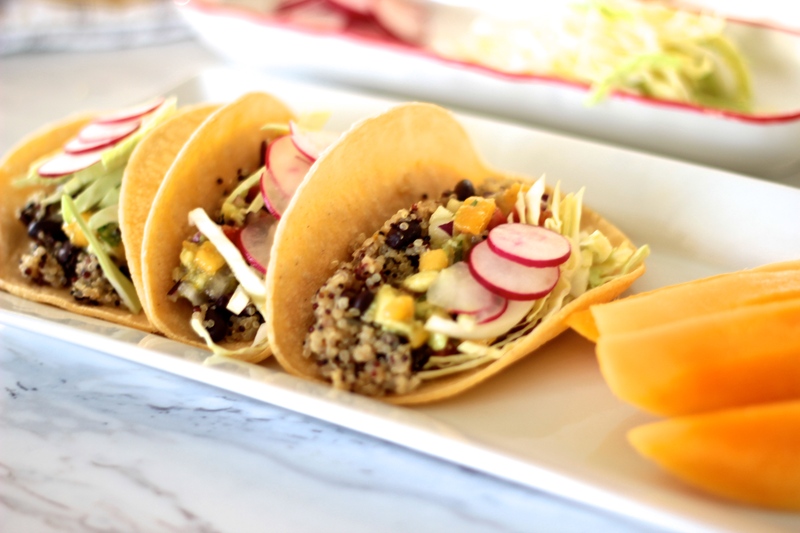 How about Cilantro Orange Quinoa and Black Bean Tacos with Orange Mango Guacamole?! 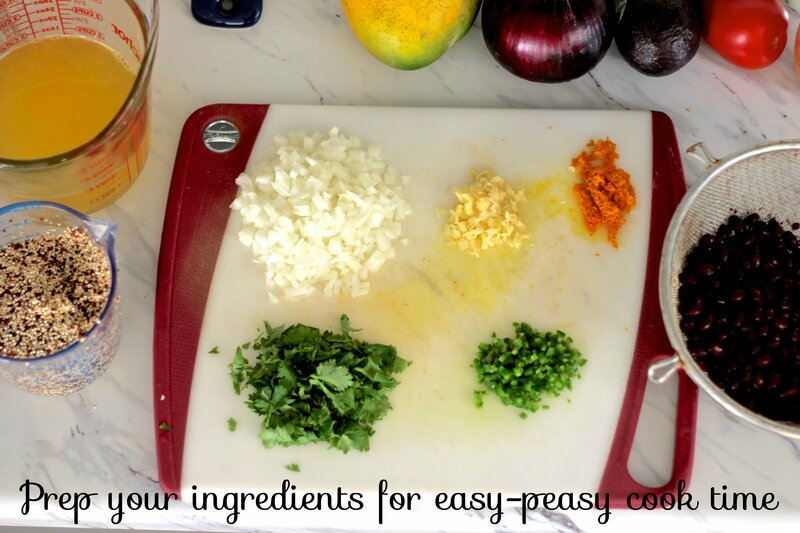 Most of your time will be chopping and dicing the ingredients, but once you get all the prep work out of the way, the cook time will be super fast. And Voila: A little orangey slice of heaven on your dinner plate. Coat the bottom of a medium pot with olive oil and heat to medium. Saute the onion, garlic, and jalapeño until the onion is soft and translucent. Add the quinoa and saute until it is dry and slightly toasty. Add the orange stock, zest, and cilantro. Let come to a boil and then turn down the heat to low and cover the pot. 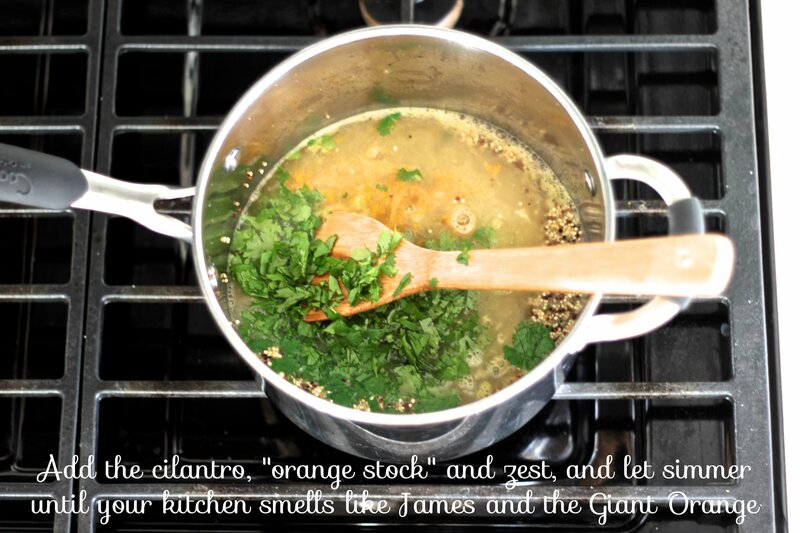 Let simmer for 10-15 minutes, until the stock has been absorbed and the quinoa is cooked through. You’ll know the quinoa is done when the seed has turned sort of translucent. 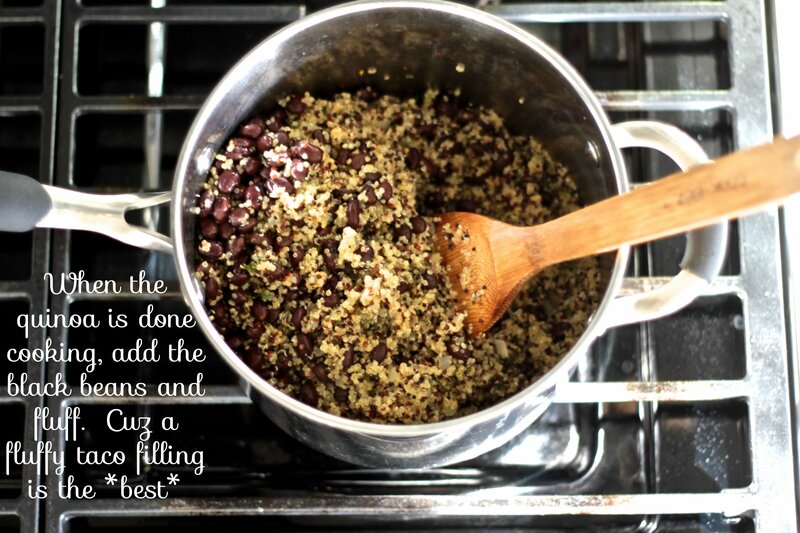 When the quinoa is done cooking, turn off the heat, add the black beans and stir. 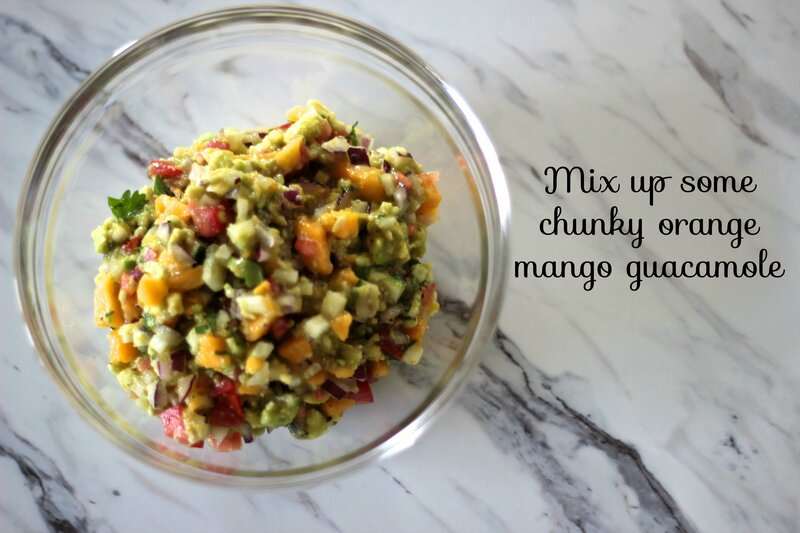 Cover and let rest while you are preparing the guacamole, and it’ll be perfectly fluffy. Gently stir all the guacamole ingredients in a large bowl. 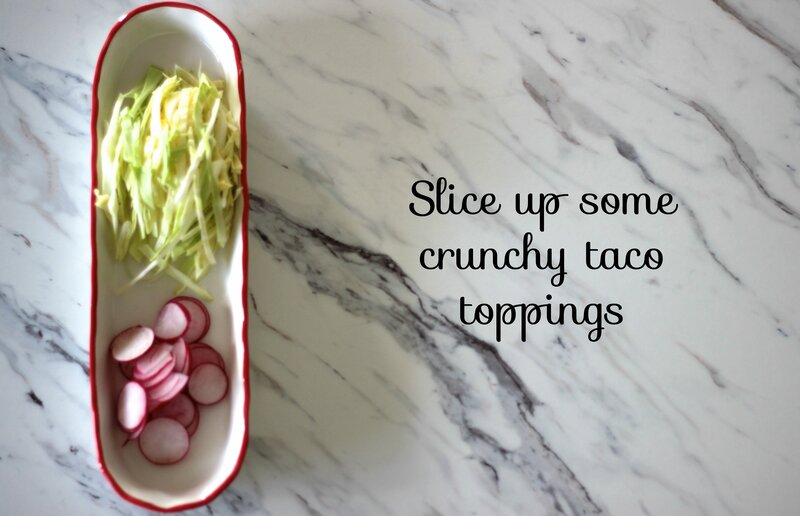 You can also slice up any additional toppings at this point, and heat up your tortillas. I prefer corn tortillas, but you can also use whole wheat or whatever you have on hand. If you use corn, note they are more delicate than the regular flour tortillas, so you will have to either double wrap warm tortillas, or make them a little more sturdy by heating and toasting them in a little oil in a saute pan. < Previous Where’s the beef?! I love leftover meals. 🙂 You have a lot of remarkably delicious looking dishes! Thank you! I hope the recipes are accessible and doable for you!